Two members of a notorious interstate cattle rustling syndicate, Muhammed Laal Jauro and Yusuf Sanni have been sentenced to death by hanging by the Kogi State High Court sitting in Okene. The two convicts were charged before Hon. Justice Josiah Majebi, on four counts charges, including criminal conspiracy to commit armed robbery, criminal conspiracy to commit criminal homicide and culpable homicide, all of which contravened sections of Penal Code. Justice Majebi Thursday found the cattle rustlers guilty of all the charges despite pleading not guilty to the charges. 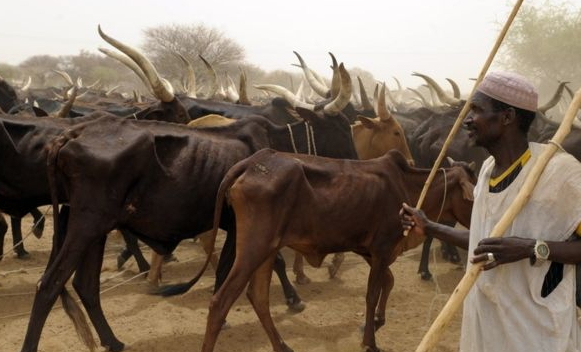 The prosecutor witness had told the court that sometime in January 2006, one Dauda Abdullahi made a report of the gruesome murder and theft of the cows of one Haruna in one of the farm centers in Okene. He told the court that upon further investigation, the accused persons were arrested at Ajase-Ikpo in Kwara State while their leader, Awaijo Wetti, was still at large as at the time of the prosecution. He said that the convicts admitted committing the offences together with the said leader when they narrated how they grouped and subsequently macheted their victim to death in his farm, and eventually stole his cows which they took to Ajase-Ikpo before they were apprehended. The first accused person, Muhammed Lawal Jauro’s confessional statement which was corroborated by the second, Yusuf Sanni, was relied upon by the court to arrive at its verdict. They both stated how they and their other gang members conspired to commit the crime in December 2015. Jauro in his confessional statement said: “Sometime in the month of December 2015, one of my friends by name Yusuf living at Kabba junction Zariagi called me on phone and said there are some cows belonging to one Haruna at the bush of Okene, that we should go and steal the cows. After that, our leader by name Agwaijo Wetti living at Tyre village along Okene-Auchi road asked us to meet at the bush of Okene which we did. It was there myself, Yusuf, Ado and our leader, Agwaijo Wetti gathered us and led us and all of us were holding cutlasses and we met the owner of the cow rearing his cow and all of us macheted him with cutlasses until he died before three of us took control of the cows to Ajase-Ipo in Kwara state”. In his judgement, Justice Majebi declared that the confessions of the accused persons were weighty and admissible in determining the case against them. “The confessions of the respective accused persons are graphic, direct and the accused persons stated that after killing the deceased Haruna, they went with his cows to Ajase-Ikpo where they were arrested and the cows were recovered in the bush where they kept them”, Justice Mehabi declared. Justice Majebi held that the prosecution satisfactorily established that the death of the deceased was caused by the convicts as there was “a nexus between the acts of the accused persons and the death of the deceased”. “By the said pieces of evidence, I hold the prosecution has satisfactorily established the death of the deceased and that same was caused by the accused persons. I hold that the prosecution has proved all the ingredients of each of the heads of charge against the accused persons thereby raising presumption of guilt against them in respect of all the heads of charge. “It will amount to flying in the face of the evidence before the court to believe the story of the accused persons that they have no knowledge of the commission of the offences and the exhibits tendered except their handsets. To believe same is to believe the holiness of a Bishop hanging a talisman on his neck, ” Said Justice Majebi while pronouncing the court’s verdict.